In your time of loss, the last thing you need is the worry of how to pay for a loved one’s memorial. 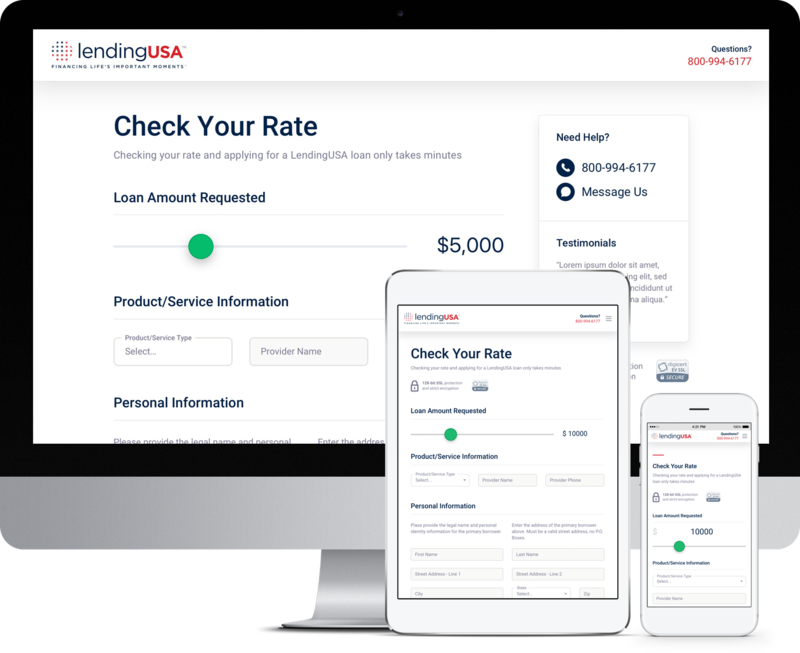 That’s why LendingUSA is here for you, right at your point of need. Our financing program is fast, easy, and affordable – so you can say goodbye with dignity and grace. We can approve a wide range of credit scores. That means more ways for you to give a loved one the celebration they deserve. We can provide loans from $1,000 to $35,000. That gives you the power to afford exactly the arrangements your loved one deserves. We offer a 0% interest rate if paid in full within the first six months of your disbursement date*, plus affordable monthly payment options that work with your budget.